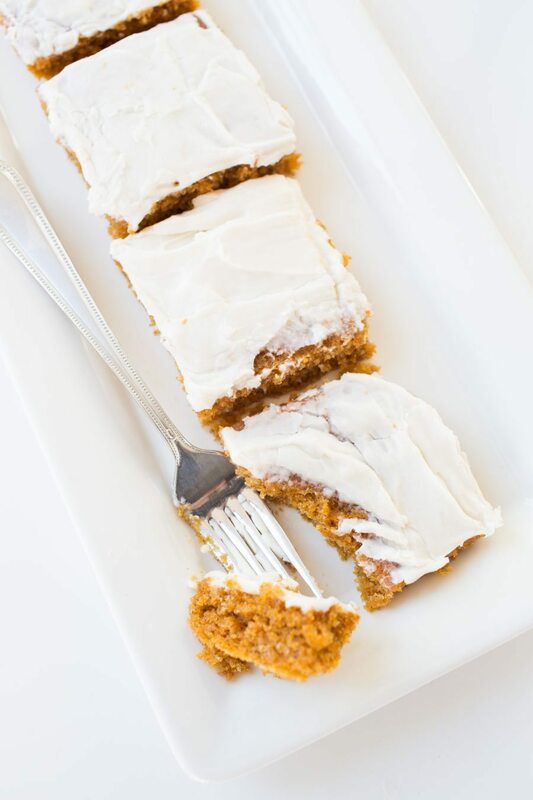 I’m so excited to share with you guys my most asked for and best fall Dessert recipe – PUMPKIN SHEET CAKE! 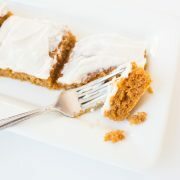 When I met my husband in high school, I refused to eat pumpkin anything. I was always the girl who passed on pumpkin pie at Thanksgiving get togethers. It just wasn’t my thing if I’m being honest…a little too slimy and just—well—I guess not enough chocolate for me. Then I met Michael’s mom—Grammy J as we now know her—and she completely blew my “I don’t eat pumpkin” rule out of the water the second I tasted her homemade pumpkin sheet cake. 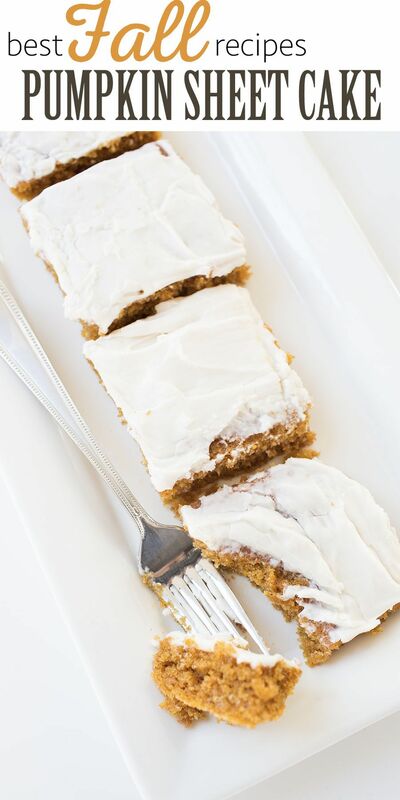 This sheet cake is not only quick and easy, but it is a total crowd pleaser, trust me! Just whip it up, take it to your next Thanksgiving party and get together, and you can thank me later. Ok you guys. Give this a try and let me know what you think! Happy Fall from cc+mike ya’ll. Also, you can shop some of my favorite kitchen products from William Sonoma, Nordstrom, Target, and Wayfair at the end of this post so make sure to check that out AND if you’d like to see more of my home, check out my Simply Fall home tour and also the Rooms and Design inspiration tabs on the top of my website. My Christmas home tour with some amazing bloggers will be coming soon. If you want to make sure not to miss any posts from cc+mike, you can subscribe for email updates. Thanks for stopping by and feel free to share this recipe you guys. 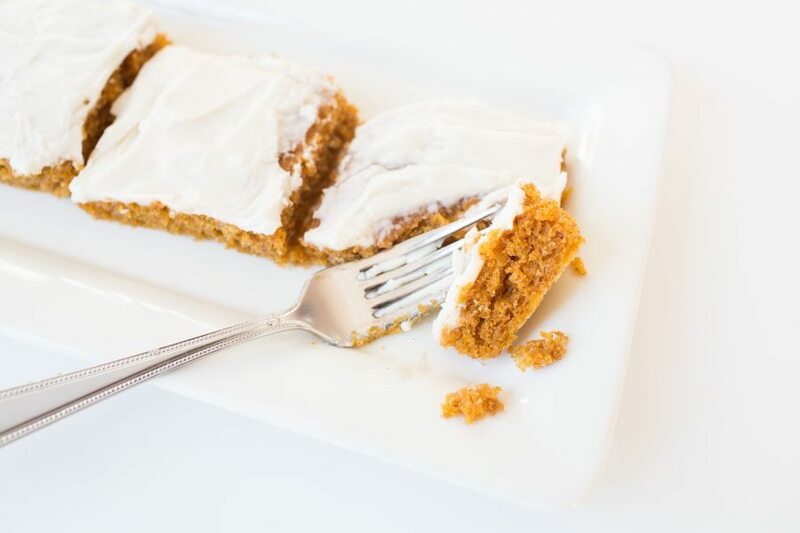 Friends like friends who share yummy pumpkin sheet cake recipes, I promise. Sift together 1 cup of flour, 2 teaspoons of baking powder, 2 teaspoons of cinnamon, 1 teaspoon of salt, and one teaspoon of soda. Add to pumpkin mixture and stir well until blended. Pour into jelly roll pan and spread well then Bake at 325 degreed for 20 to 25 minutes. DO NOT OVERCOOK. You want it to be golden on the top and not start to get brown. Let it cool COMPLETELY before icing. I usually let it cool, cover it with foil, then let it sit overnight. 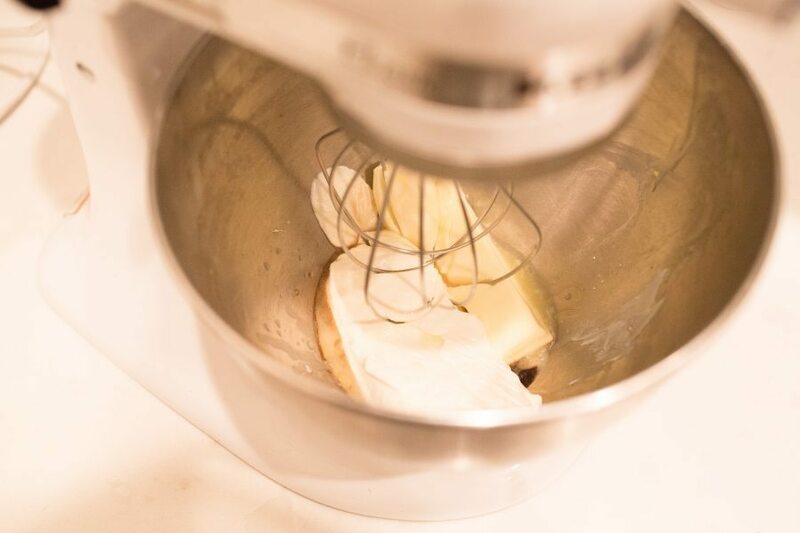 Then you mix together, 1 block of softened cream cheese, 1 stick of softened butter, 1 teaspoon of cinnamon and one 16 0z package of powdered sugar. 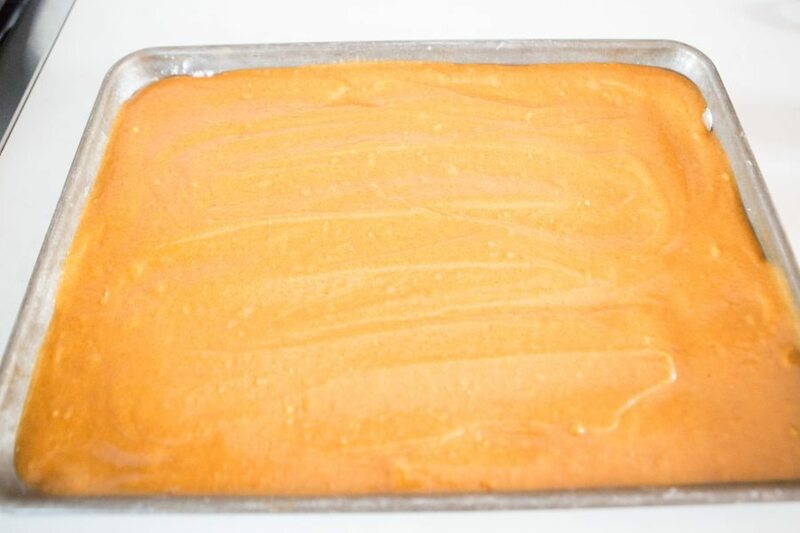 MAKE SURE THE BUTTER AND CREAM CHEESE ARE ROOM TEMPERATURE or even warm when you make the icing AND the cake is completely cooled before icing. If you don’t, the icing will be too hard and it will be hard to spread the icing all over the cake. And there you go! This cake will leave all your Thanksgiving guests raving. TRUST ME. 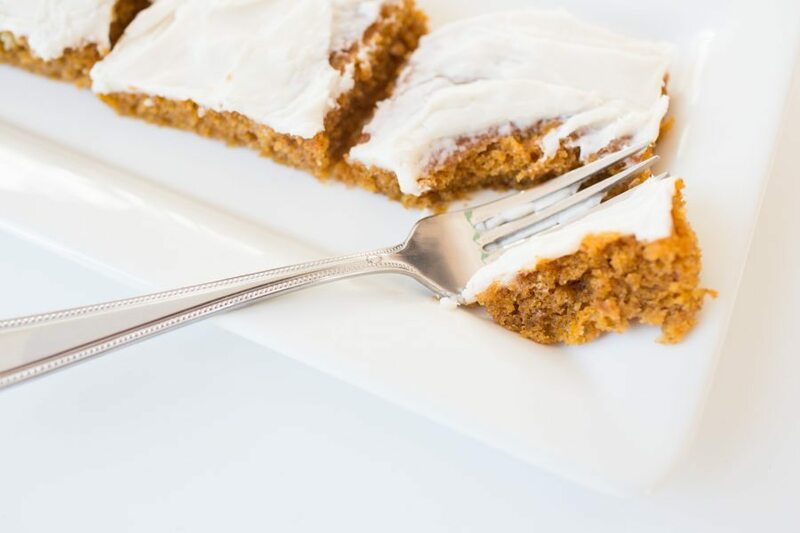 Like I said, I don’t eat pumpkin anything, except for this cake and this…I eat entirely TOO much of. Hope you and your enjoy over the holidays or any other time throughout the year. This is so good it can’t be saved ONLY for Thanksgiving. 1. 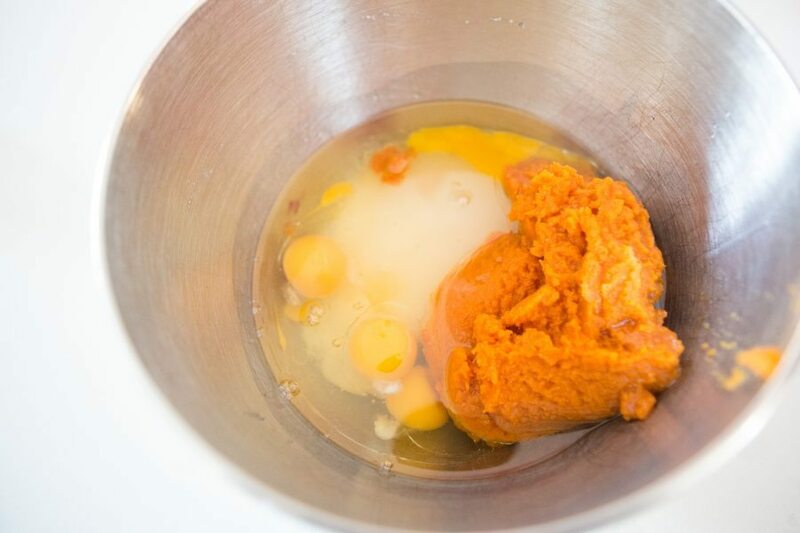 Cream together pumpkin, eggs, oil, sugar and pumpkin 2. Sift together flour, backing powder, cinnamon, salt, and baking soda. 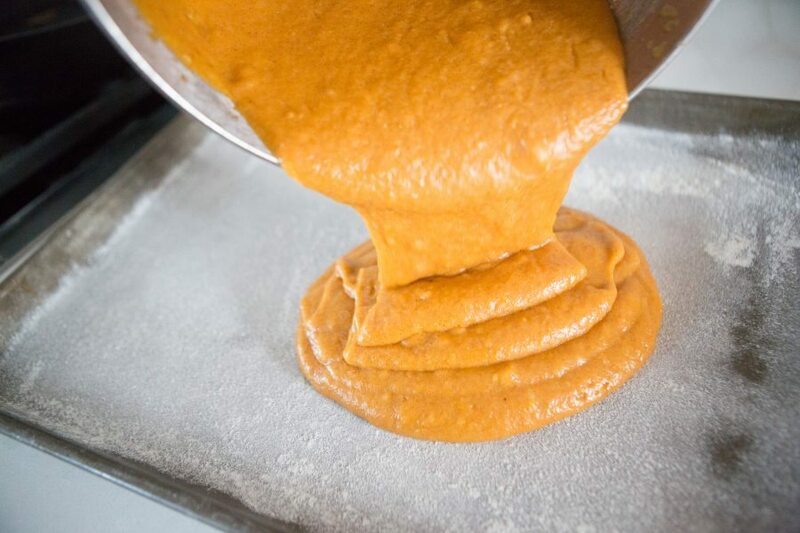 Fold into the pumpkin mixture. 3. Spray a jelly roll pan and spread flour over the pan to lightly coat it. 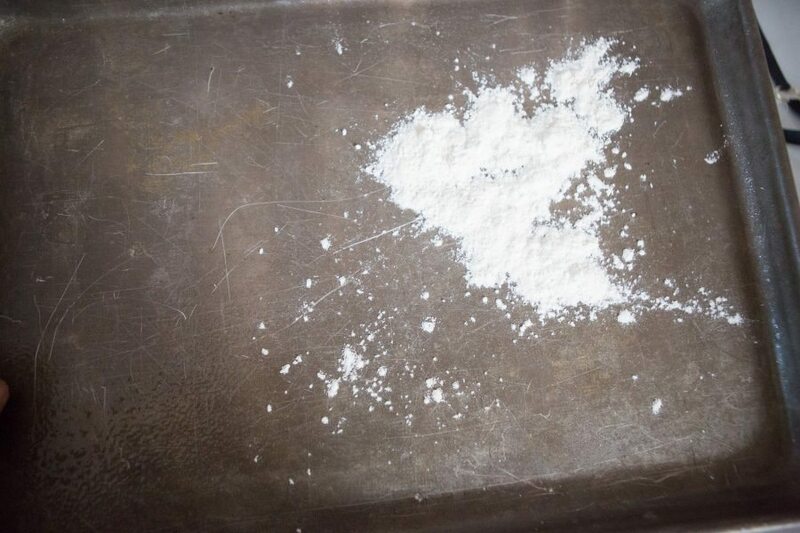 Dump excess flour into the trash can so that just a small coat of flour is on the jelly roll pan. 4. 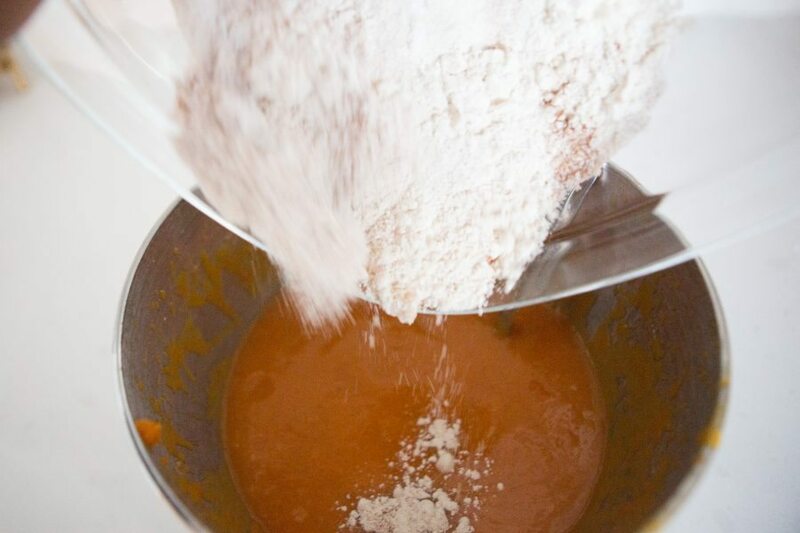 Pour pumpkin mixture into the pan and spread evenly. Bake at 325 degrees for 25-30 minutes. Do not over cook! You just want it to be a light golden brown on top. 5. Let cake completely cool 6. 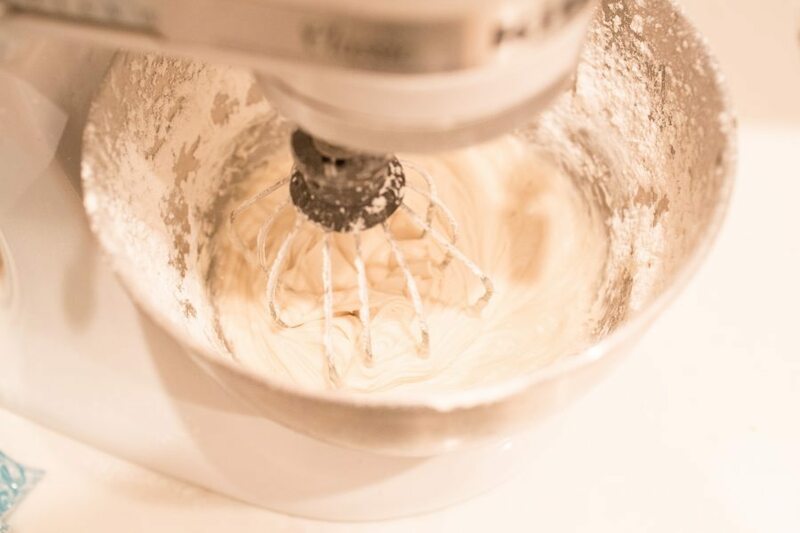 Blend together cream cheese, butter and vanilla. Add powdered sugar and blend. 7. Ice the cake, serve and enjoy!